‘Twas the night before Christmas, and Muntradamus still delivers his fantasy Forward preview rankings. Merry Christmas to everyone from the MaddenArena team. Good luck this Fantasy Basketball season, tomorrow the Center Rankings will come. Ask any questions that come to mind. Josh Smith– Even if it is a second round pick, Forwards that get assists, blocks and rebounds like Josh Smith do not grow on trees. He is an impact player that makes a huge difference in rotisserie leagues. Danilo Gallinari– Danilo will have to be the go-to-guy in the Nuggets offense this season. The 3PT attempts should be there, and he has the potential to easily be a 20-7 type of player. People in Denver are hoping for the next Dirk. Antawn Jamison– The Cavs only have one guy in their starting lineup who you can say is a serious scoring threat. Antawn Jamison will have to carry the Cavs night after night as he also throws in nice stats around his points. Good rebounds, 3PT, blocks and FT%. Elton Brand– Brand is finally healthy again, and the 76ers will need him to control the paint all season. He could easily find his old 18-10 range with 2 blocks. I like the potential. Klay Thompson– At Washington State this guy would put up 30 points with ease at times. He is someone who can thrive in a Warrior offense that really does not have any great bench options. Tyler Hansbrough– Tyler is a freak on the court and someone who will demand playing time and fantasy attention if West misses time with his knee recovery, or Hibbert does not perform. Kris Humphries– With no Brook Lopez Humphries will be very important to the success of the Nets. He averaged a double-double last year with a block and should be able to build upon that as he is their man down low. James Johnson- The 24 Year Old out of Wake Forest, who starts for the Raptors. He had 8 rebounds, 5 steals, and 2 blocks in a preseason game. That sounds like somebody you want to pick up. Tim Duncan– Duncan is nearing the end for his Hall of Fame career. It is more important to the Spurs that he is ready to play 30+ minutes a game in the playoffs than the regular season. He will rest often with so many games in so little time. Stephen Jackson– Complaining about a bad back, complaining about a bad hamstring, complaining about a new contract just after signing one. I don’t like complainers, and Stephen Jackson is giving the Bucs a bad first impression. John Saloms– A good player on a team filled with young great talent. That does not usually result well for players of his caliber. He is maybe the #5 scoring option every time he is on the court for the Kings this season. Donte Greene is also ready to take the next level. #1. LeBron James– Superstar, who will get you Blocks, Steals, 3PTs, Rebs, Assts, Points every night. He needs to shoot 80 % from the free throw line this year. He will be hungry for a big season after being labeled as a choke artist in the finals. #2. Kevin Durant– Superstar who averages 30 a game with everything else. He’s only getting better and is possibly the #1 scorer in the NBA. Ton of 3’s and the block to go with it as well, nice 7 rebounds. #3. Kevin Love– K Love is a threat for a 20-20 night with 3’s. He’s solid he makes FTs, could eventually qualify at center this year as well. #4. Blake Griffen– Blake will absolutely dominate with CP3. 25+ PTs a night, 10+ rebounds, the only problem is he doesn’t offer much more than that, and will in fact hurt you in FT%. #5. Carmelo Anthony– A superstar, if he played harder he could be #1 on this list. Should still have a huge season of plenty of everything. He is the Kobe Bryant of the Forward position. #6. Dirk Nowitski– 20 Points with the chance for the explosion 30’s. Difference maker in FT% and gets enough rebounds. Doesn’t hit enough 3’s anymore, but Dallas should be a high scoring team every game. Tier 2- Solid Production on the Reg. #7. Danny Granger– Granger may lose some production with West being another solid option who needs the ball. Granger still gets you a ton of 3’s, and good rebound, block, and steal numbers. Should be another great year for Danny. #8. Josh Smith– This is a must have guy in fantasy basketball this year. Josh is a difference maker in the blocks category, and he also could get you the next best assist numbers at the forward position next to Lebron. Great rebounder as well. Get him. #9. David Lee– If there’s a guy on the court who can get 20 rebounds a game; you have to grab that guy. David Lee could be this year’s Kevin Love and that makes Lee very valuable, he was injured last year. He’s ready to go. This guy plays his heart out and can fill up fantasy stat sheets. #10. Rudy Gay– Gay was playing like a 1st round value before getting hurt last year. When he did the Grizzles became a better team, but they will be ready to go to the next level with Rudy healthy. He will give you all the numbers you can ask for from a forward. He flies out of the gym, he plays great defense, and is a pure shooter. #11. Zack Randolph– Randolph is known as the black hole in the NBA. The ball goes in, and it doesn’t come back. He is a great player and can easily get you those 30 point nights, and sometimes 20 rebounds. Great player to have on your team, 80%+ from free throw line. #12. Pau Gasol ( C)- He should average 18-10 easily with no Odom. The shots will be there, the question is will he play strong. He is aging, but he is out to prove he is still relevant. Take your shot with Gasol as he qualifies at center as well. 80+% FT shooter, and 1+ block per game to go along with 10+ rebounds. #13. LaMarcus Aldridge ( C)- Aldridge has been working on his post game with Kareem this offseason. He should be ready to take his game to the next level as he is almost unguardable. His heart problem does worry me, but the reports are there are no setbacks. A person to monitor closely though as the season begins. Will get you 20-10 with a block when healthy. Potential for more. #14. Chris Bosh– Bosh had a disappointing season with Miami. But he did get more comfortable as the season continued. In fantasy it is important to have a short term memory with a player of his caliber, a 20-10 season is possible. He gets blocks and rebounds. There is also the small chance he ends up qualifying at center. #15. Paul Pierce– Pierce makes scoring look easy. He should get 20 points a game and give you decent rebound and FT numbers. The key is the amount of 3PM’s you get. This guy can go off, and will have to more often this season with Jeff Green out for the year. KG and Ray Allen aren’t getting any younger either. #16. Gerald Wallace– Wallace is a completely different player with Portland than he was with Charlotte. The team will look for him to be a defensive leader, but there will be times this guy disappears in the stat sheet. Hopefully he can get 15-9 with a block and a steal. He will be rotating all season with Wesley Matthews, Nicholas Batum, Marcus Camby, and Aldridge for playing time. Doesn’t seem like there’s a lot of room for error this season with Wallace. Tier 3- Potential Great Numbers. #17. Andre Blatche– Blatche has the potential to be a great player in this league. Two years ago he was putting up 30-18 games like it was nothing. He started to get his head straight towards the end of last year, and will be looking for more success as the true go-to-guy in the Wizards offense. This guy is an offensive juggernaut and will give great scoring numbers with the best of them. #18. Danilo Gallinari– He’s only getting better every year, and with his 3PT shot he can be a huge impact player. The Nuggets need a go-to-guy and they are going to look for Galinari to be that man to start the season. He could truly breakout with over 20 points a game with solid numbers everywhere else. #19. Al Horford ( C)- Horford is another young stud, though his problem is finding shot attempts. With Josh Smith vowing to take less 3’s maybe that means he will pass it to Horford instead. His center eligibility helps him in the forward position, but 15-10 with 2 blocks a game and good FT% does not hurt. #20. Antwan Jamison– You know what you’re getting with this veteran. 18 points 8 rebounds 3’s and the whole package. A draft day steal as the Cavs will depend on this guy nightly with no other true starter on any NBA squad. He also will throw you the block. #21. Andre Iguodala– Iggy is on the downside of his 76er career and is not looked upon as a consistent scoring option with it now being the Holiday and Turner show. Still a chance for 14-5-5 and some steals. Not bad numbers, not worth drafting for before other studs. #22. Dorrell Wright– 3’s, 3’s, 3’s and more. He is their guy in the corner and they will need him to be big all year. He could easily lead the league this season as long as he doesn’t start missing and losing playing time. #23. Carlos Boozer– I’m going to bet on a comeback season for a more in shape Boozer. He’s on a team where he can thrive and after battling injuries all season I think he will be ready. 20-10 is definitely in reach with 80% at the free throw line. He won’t do much more than that. #24. Elton Brand– Brand looks healthy again, if he gets 15-10 with 2 blocks then you are looking at a great steal on draft day. He has the potential for more as the true veteran scorer on that team. #25. DeMarcus Cousins ( C)- Cousins is a player that can outperform his draft value easily. The potential is there as there isn’t many other post players that can put up points like him. 20-10 is easily in reach, he will hurt you at the free throw line. #26. Caron Butler– Caron looks to be healthy, and someone who can average 15 points with a mixture of everything else. He will be a true steal on draft day as people are too worried about the knee. #27. Luis Scola– Is a good hustle player, but all he does is the same thing as Boozer in score and rebound. Consistent double-double guy. With the chance of the occasional 20. #28. David West– Hopefully he will return to his 20-10 ways. The Pacers could use it, but coming off knee surgery he hasn’t done much to show he is near 100%. It’s a long season and with a shortened schedule with less time in between games, West could be a risk. #29. Greg Monroe ( C)- A guy who has grown by leaps and bounds looks to be the man for Detroit. There are game where he could get lose offensively, but a solid bet for 10 rebounds and 2 blocks a night. Center eligibility helps. #30. Serge Ibaka ( C)- Ibaka is a block specialist, and at times can be a 10+ rebound type of guy. Take him with upside as he is very young and only getting more comfortable in the NBA. A star in his home country. #31. Tim Duncan– Duncan is getting older and the schedule with less rest in between games means he will rack up the DNP’s. 18-10 should be expected, with the block. He will hurt you with his free throw shot. #32. Luol Deng– The guy doesn’t do enough to make a difference, but he is solid and you know that he will be consistent. 17-6 with some good hustle stats and a 3. He may lose some shot attempts to Rip Hamilton this year. #33. Stephen Jackson (G)- Jackson is the veteran for the Bucks’ Though he complained about his contract, has a bad back, an ailing hamstring, and doesn’t appear to be motivated to take his team to the next level. He is a great player with a lot of risk. If healthy, expect a little bit of everything and a lot of 3PT’s. #34. Paul Millsap– Paul is dealing with a sore quad, and Favors looking like the “favorite” to be the guy in the PF spot. Millsap has been working on his outside game however and could be a force at the Small Forward position. The bite is worth the chew, as some say…15-10 is not out of the question with this guy, he gets you blocks and FT% as well. #35. Tyrus Thomas– STL,BLK,REB potential is too high to let this guy slip. He’s got to put it together one year right? #36. Corey Maggette– He’s old yes. But he’s the best scorer on his team and can get you 20 points a game and some rebounds. Difference maker at the Free throw line as well. #37. Kevin Garnett– If you’re desperate for a 10-10 guy late who can get a block, then you can do much worse than KG. With Jeff Green out for the season, they will depend on KG for a lot of minutes. On the flip side he is getting older and he will rack up the DNP’s. #38. Jared Dudley (G)- Dudley is a guard who can get you blocks, steals, 3PT, and rebounders. That’s a rare thing to have, and someone you definitely want on your fantasy team. He is either going to get his minutes at SG or SF, and reports are he is the best player in camp. #39. Wesley Matthews (G)- Good 3 PT shooter, FT%, and a steal is what you want out of Matthews. He is good, but his ceiling appears to be Ray Allen. He will be fighting Nicholas Batum, Jamal Crawford, and Gerald Wallace for minutes. Not a good situation. #40. Austin Daye– This guy does it all and wants to get better. He’s on a team that will give him his shot to shine. 17-5-5 could happen and he gets blocks and 3’s as well. A true potential fantasy star. #41. Channing Frye ( C) – With Gortat playing injured, this will result into Frye getting more playing time, and more 3 PT shot attempts. As a forward he is good because he does get the occasional block to go along with the 3’s and points. But his true value is at the Center position. #42. Ed Davis ( C)- The Dennis Rodman of fantasy basketball. If you need a rebound stud that could get the block, look no further. Center eligible as well. #43. Kris Humphries– The Play, Playa of the year is now in a great position to succeed with Lopez out for an extended time. Humphries is a solid bet to get his numbers with no other big guy on the team. 12-10 with a block should easily be in reach after averaging a double-double last season. #44. Michael Beasley– Beasley is a beastly type of player. He can score with the best of them and will get you some rebounds and 3’s. For some reason people think he should get moved from Minnesota, but he is one of their best offensive options as he has 20 point potential. #45. Lamar Odom– The guy is a proven veteran and can put up great numbers. Problem is he’s on a team that is stacked and will be fighting for minutes all season. Lakers will miss him, and fantasy owners need to hope for injuries elsewhere for solid consistent production from Odom. Without injuries 11-6-4 and some 3’s is what you can expect. #46. Rashard Lewis– He can shoot the lights out, problem is he has consistency problems. The Wizards are now feeling more comfortable with Crawford, which could mean Nick Young will start to eat into his minutes at the SF position. Tier 5. 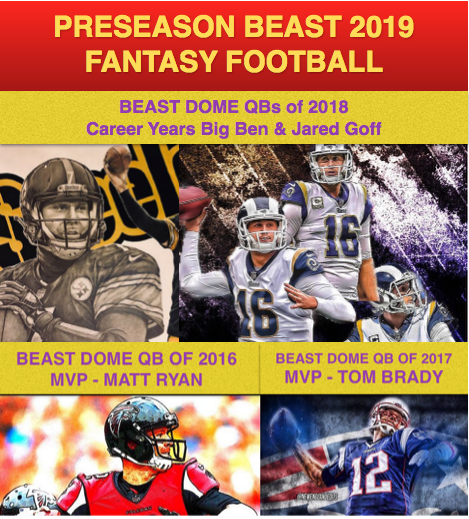 Guys who need some lucky breaks to become fantasy relevant. #47. Jordan Hill ( C)- Hill has potential to be a 20-10 guy in this league. He has shown it in the pre-season and he showed it collegiately at Arizona. He is the next guy off the bench for Dalembert or Scola and would make a great play if anything happened to either of those guys. Center eligibility helps. #48. Nicholas Batum– Batum has amazing talent but is buried on a deep squad. Playing time will be scarce and his games will be in the 10-4-2 range with a block, instead of the 15-6-4 range he is capable with everything else to go along with it. Great potential. #49. Thaddeus Young– Great player and still very young. His talent has breakout written all over him, playing time might be a problem to start the season. #50. Derrick Favors– Favors has a lot of potential to make noise as a 15-10 guy. The Jazz are already talking about starting him over Millsap and the season has not even started. That means he has some serious potential and should be looked at closely before your draft. #51. Carl Landry– Another solid player who will be rotating with Kaman and Okafor all year. He is always solid for 6 rebounds and can explode for the occasional 20+ points. A nice player to have on your bench if you can. #52. Derrick Williams– A high flyer and a truly gifted player. D-Will is going to have major value when a Beasley trade occurs at some point this season. Hopefully you will have him. #53. JJ Hickson ( C)- Is buried with Cousins and Thompson, but he is looking like the guy who may be most consistent of the bunch. Take Hickson with the chance of getting a solid 15-10 guy who also qualifies at center. #54. Klay Thompson– A pure scorer and the first guy to come off the bench for the high scoring Warriors. Curry is already battling an ankle injury, Monta looks to get traded and Dorrell Wright is not proven yet. Klay will get plenty of chances. #55. Boris Diaw– If you really have to get him late, I guess you can do worse. A little bit of everything type of guy. Nice that he is going to qualify at center, at least that’s the plan for now. #56. Tyler Hansbrough– The Pacers will need his energy and there will be a few games where Tyler gets 20 boards. If something happens to Hibbert or David West, which is possible, Hansbrough would be a great start. #57. Carlos Delfino– 3 PT’s and steals. That’s what you are getting with Delfino as he now has Stephen Jackson on his team to take looks away. Delfino should still get his as he looks to be over injury concerns. #58. Hedo Turkologu– Hedo is comfortable playing a position where he does not do much besides take the occasional 3PT or make the assist. His upside isn’t great, but he will be 10-5-4 almost every night. Tier 6- Guys who should be on your waiver wire. #59. Trevor Ariza– Trevor is not the best fantasy player. He will get you the steals and most likely a 3 per game, but there are times where he disappears. Those times are more often than they should be to be comfortable using him. #60. Richard Jefferson– Jefferson has the talent, but he is on a team that allows him to be a role player at best. Could do something if injuries fall to players around him. #61. John Salmons– Salmons has too many weapons around him to be the player he wants to be. His shot attempts won’t be consistent, and there will be times he’s nonexistent. Donte Greene is on the bench behind him (Donte is suppose to be a lot better this season). I would avoid Salmons this season. #62. Josh Howard– He has solid potential and now being a starter in Utah he has the chance for some good numbers. Problem is, Millsap is trying to be the SF in Utah which will limit Howard’s minutes. That being the case, especially with Raja Bell and CJ Miles in the competition for playing time. #63. Glenn Davis– Big Baby will get his playing time this year, he doesn’t have much talent but he could be a consistent 8-8 every night. Maybe more if Dwight Howard is moved for no size. #64. Amir Johnson– Amir has potential, but should not be counted on for much success. 10-10 would be great, but he should be left for deeper leagues. #65. Landry Fields– Fields is a role player who is better left for the bench. Does a little bit of everything, not a lot of anything. #66. Luc Richard-Mbah Moute– If you are depending on this guy for production, either your team is doing lousy or a key player got hurt on the Bucs. This guy is a stat plug to help you if there is an injury. #67. Wesley Johnson– He can knock down 3’s and get blocks and steals. Question is will he find playing time behind Derrick Williams, Wayne Ellington, and Michael Beasley. #68. Terrance Williams– His potential is great, and he is a better player than Chase Budinger. If his head is straight, which it looks to be this season. Terrance could be a great fantasy sleeper who does it all. Especially great assist numbers. #69. James Johnson- The starting SF on Toronto has serious steal and block potential. He could be the next Gerald Wallace and nobody would see it coming. #69. Tayshaun Prince– This guy does nothing. I would never own him in fantasy. He will have the big games every now and then to start the season, but will disappear quickly before you can remember it. #70. Shawn Marion– The guy has no offensive game and he doesn’t play enough guaranteed minutes to count on his BLK, STL and rebounds. His fantasy days are behind him. #71. Tristain Thompson– A young player with great upside, but he will be looked to be a backup for Antwan Jamison this season. The car is not ready for Thompson to drive. #72. Ron Artest– Artest is the only proven scorer on the Lakers who can take the ball to the hole besides Kobe. If Kobe ever has to miss time, Artest will be looked to pick up the slack. The question is, are you ready Metta P? Because he does not look to be in game shape. #73. Marvin Williams– The guy is not useable unless there are injuries around him. One day he will put it together and show why he is was the #2 overall pick. One day. Ask any questions and debate with me who you think should be ranked higher. Good luck in Fantasy Basketball and stay tuned to MaddeArena as it is a long season..We got your back. -Muntradamus is the senior chief editor of MaddenArena.com. He has been playing fantasy sports in high stakes league since 3rd grade. He played varsity sports in HS and studies fantasy sports hours upon hours a day. 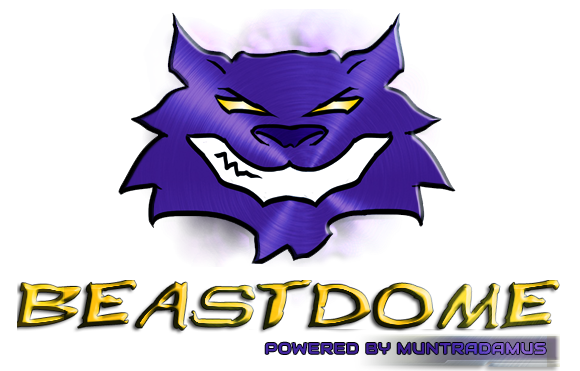 For questions, or looking for advice sign up for the forums to talk to Muntradamus and all of the Fantasy experts at MaddenArena. I have Nene, and Marcus Thornton out for now on Bench due to them being DTD as of right now. That means you can put any position at utility. It does not make a difference if you put a forward, a guard, a center. They are all the value they come with that night. (if Bargnani does not have a game, then you can play Frye, Gasol or Nene at his (C) position.) If you move Nene to center, then you can put most likely Toney Douglas (best player of the 3 bench guys) at UTIL. Depends who is playing. I hope that is clear. Also watch two players tomorrow, Jared Dudley PHX and Austin Daye DET. Is your league H-2-H (Head to head) or Roto? Happy Holidays and ask any questions that you have. Thanks, I am in the head to head league with 8 teams total. Happy Holidays as well! Caron Butler is on the free agents list, and started out pretty strong. Should I consider dropping anyone in the above post to make room for this strong player in the making? Butler is attractive but the Clippers are still trying to figure out who their scorer is going to be. It could be Caron but I would want to see a few games of him getting 20+ to get really excited. See if Frye can bounce back with a nice game. If his minutes get hit again then he is on serious player watch. His center eligibility makes him unique, but in H-2-H Butler will probably make the bigger impact.